Bornholm is discovering how electric vehicles will affect the electrical grid in a future without petrol cars. 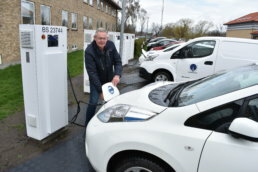 With a new energy project and the purchase of 19 electric cars, the municipality has taken the first steps towards making the transport sector greener in Bornholm. The project, Across Continents Electric Vehicle Services (ACES), was created in collaboration between the municipality, Bornholm Energy & Utility (BEOF), Nissan, Nuvve and the Technical University of Denmark, and will run until 2020. The project will investigate how the grid is affected both technically and economically when electric cars are integrated. BEOF will simulate what happens to the grid when there are over 10,000 electric cars on the island’s network. To achieve this data, the project partners have developed a simulation model of the total energy system in Bornholm. With V2G charging, electric cars will send electricity back to Bornholm’s network when the cars are not in use. car has an 11 kW charger that can both charge the battery and discharge it, thereby sending power from the electric car’s battery back to the grid. When the cars are not in use, the energy supplier gains full access to the battery and can withdraw electricity back to the power plant when needed. With the commitment to connect to the energy plant within a daily set timeframe, the municipality can use electricity almost free of charge. By exchanging fossil fueled cars for electric cars, air quality is improved as emissions of NOx, SO2 and PM2.5 are significantly reduced. It is difficult to store renewable energy. The use of V2G chargers along with the car's battery can help drive forward the shift from fossil fuels to renewable energy. Switching to electric vehicles with V2G solutions give significant economic benefits. The project can therefore help inspire other municipalities to make the same climate-friendly choices. 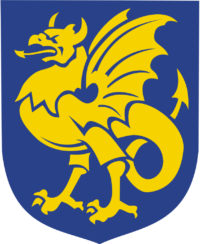 Bornholm is an island in the easternmost part of Denmark. The island has 40,000 inhabitants.